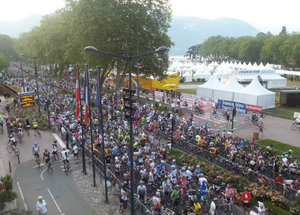 On Sunday July 7th nearly 12,000 cyclists from around the world gathered in Annecy, France to ride a 130 kilometer stage to be featured in this years Tour de France. 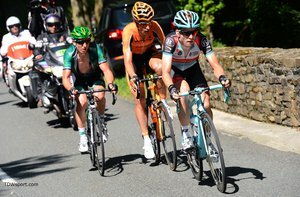 The course provides over 3,600 meters of climbing and the final Semnoz climb is 11km at 8.3% grade, the most challenging climb of the entire 2013 Tour de France. 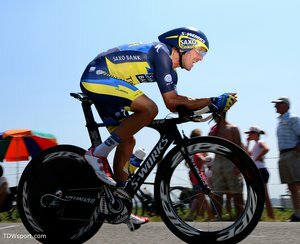 Stage 7 of the Tour de France was 205.5km from Montpellier to Albi featuring 4 climbs with over 2,300 meters total altitude gain. Team RadioShack Leopard Trek pushed hard throughout the stage with Jens Voigt early in the front followed by Jan Bakelant in the second half of the race. In the end Cannondale Pro Cycling's Peter Sagan won the sprint for his first stage win in the 100th Tour de France.